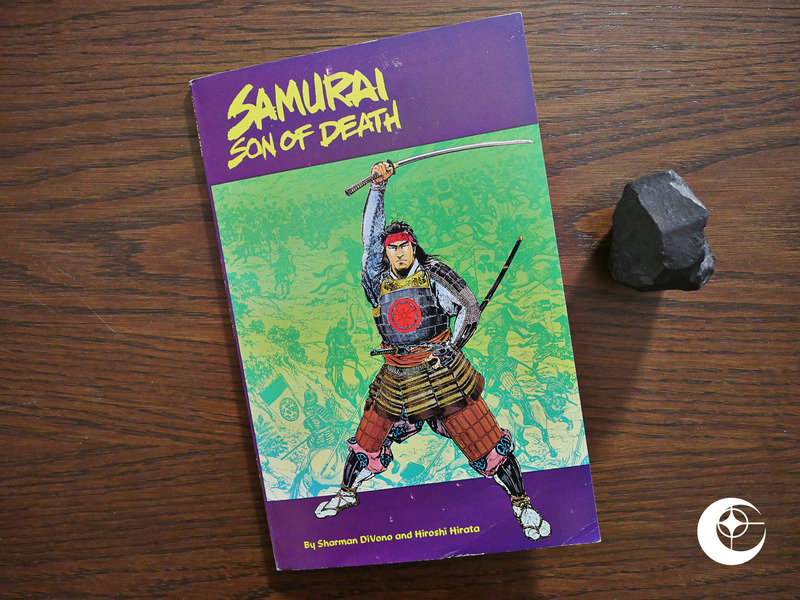 Samurai, Son of Death (1987) #1 by Sharman DiVono and Hiroshi Hirata. 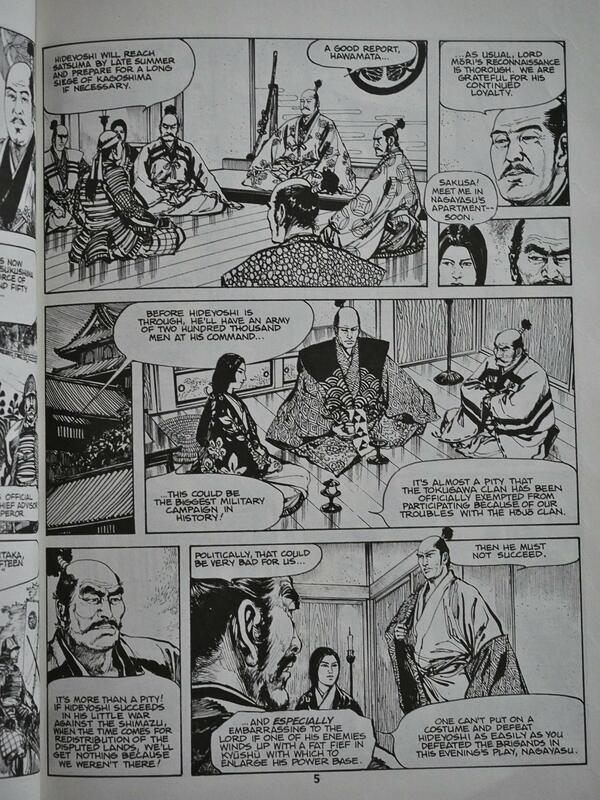 Eclipse had just gotten started with publishing translations of Japanese comics, and then the go a publish a samurai story written by an American. 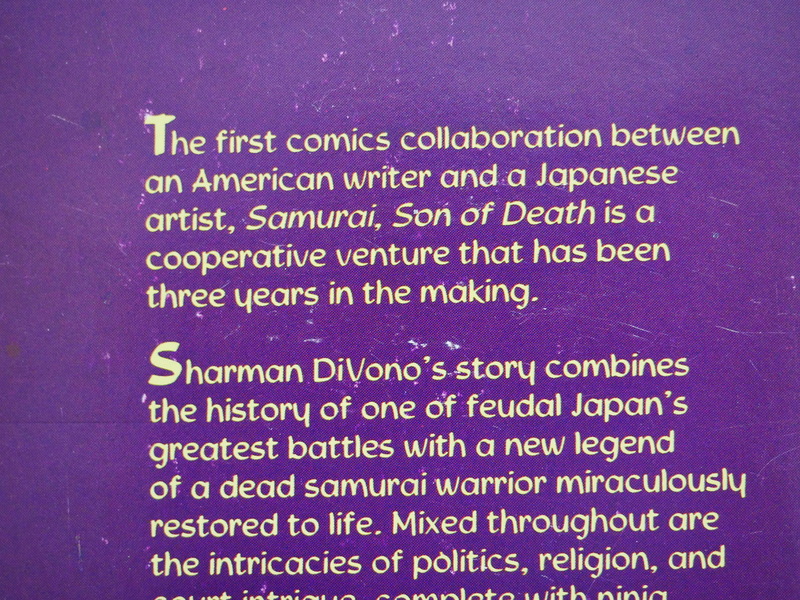 According to the back of this regular-sized but squarebound comic book, it’s the first collaboration between an American writer and a Japanese artist ever, and it’s been in the making for three years, so way before Eclipse started publishing translations. This is a very wordy comic book. The way the author drops footnote* bombs all over the place, you get the feeling that he either is a very didactic gentleman with a vast knowledge of this era, or… he’s just dropping random cool factoids wherever he can find the room. 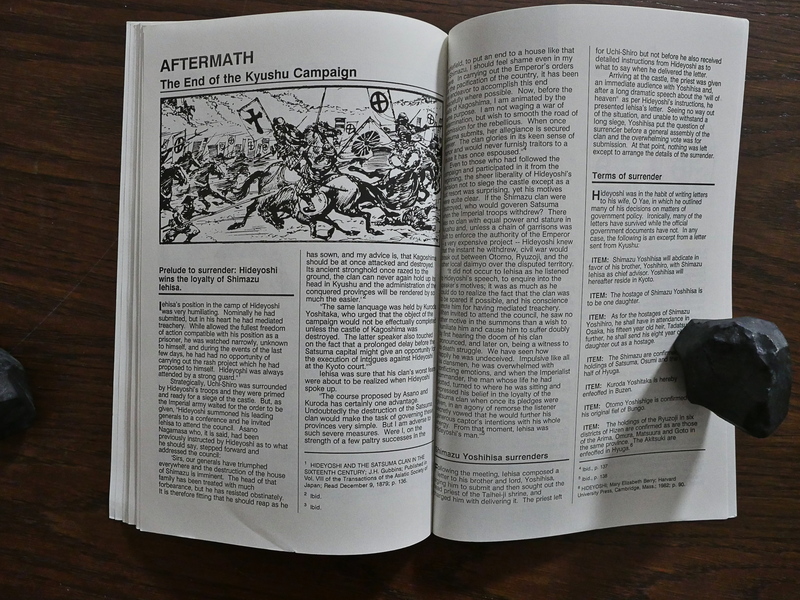 The pages are in magazine size form factor, and it generally looks like it’s been drawn for a larger size than it’s printed here. The very detailed costumes have a tendency to just fade to fuzz here, which is a shame. But on the other hand, the storytelling is choppy and awkward, like the transition from interior to exterior (with speech bubble) back to interior. Is it the same person speaking all the time? Is it a dialogue? Oh noes! A vermillion (sic) letter*! Oh, yeah, the war is about a war or something. I read the book ten minutes ago, and I can’t really be any more specific, because my eyes glazed over two pages in. 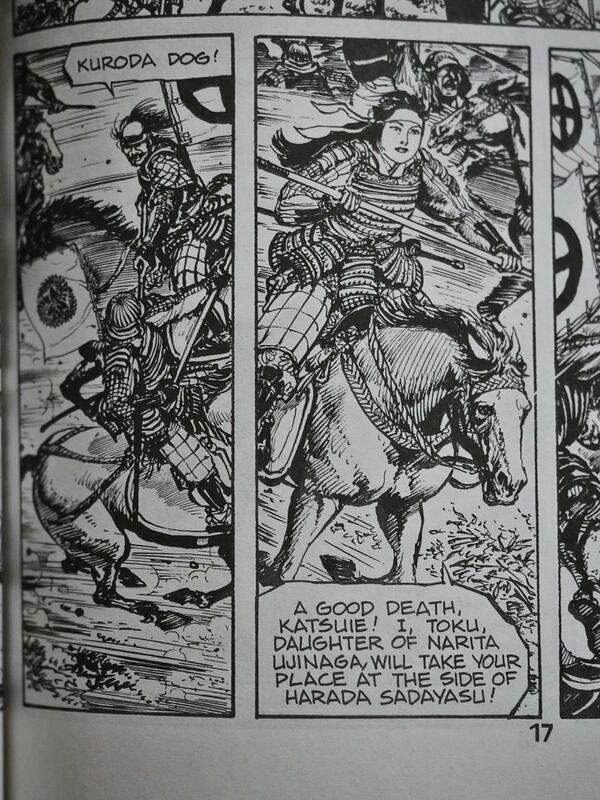 Good on you, Toku, daughter of Narita Ujinaga! Take his place at the side of Harada Sadayasu! And thank you and the rest of the characters for constantly announcing your names, because a lot of you are drawn very similarly! But beware! 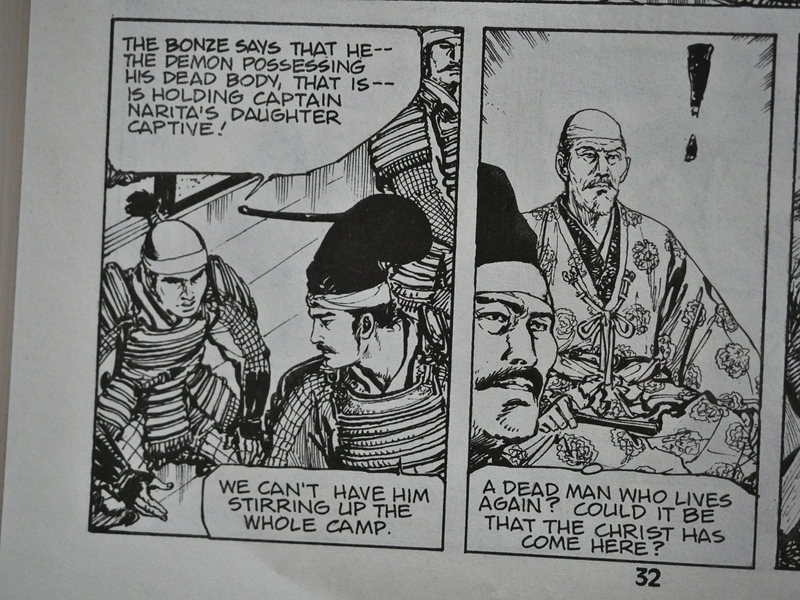 Too much declamation of lines in the middle of battle isn’t healthy, Toku, daughter of Narita Ujinaga! 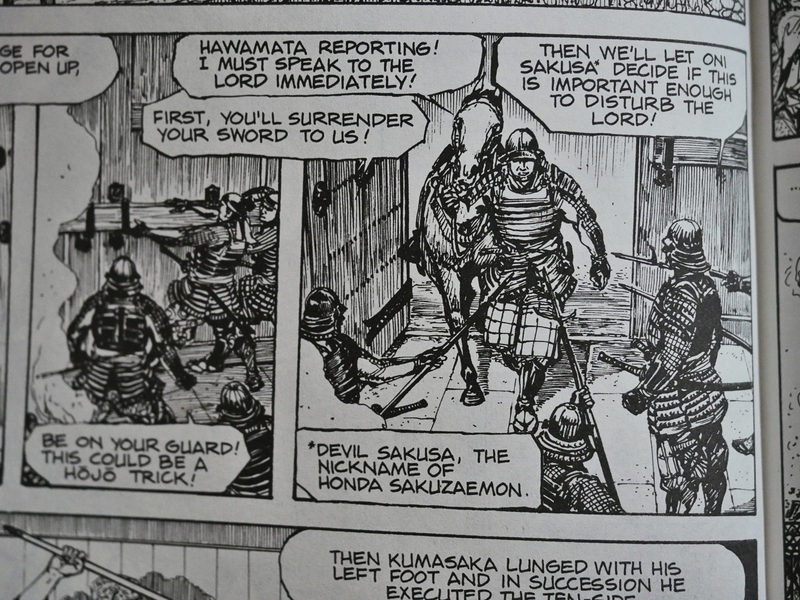 Oh, yeah, there’s a zombie samurai, too. 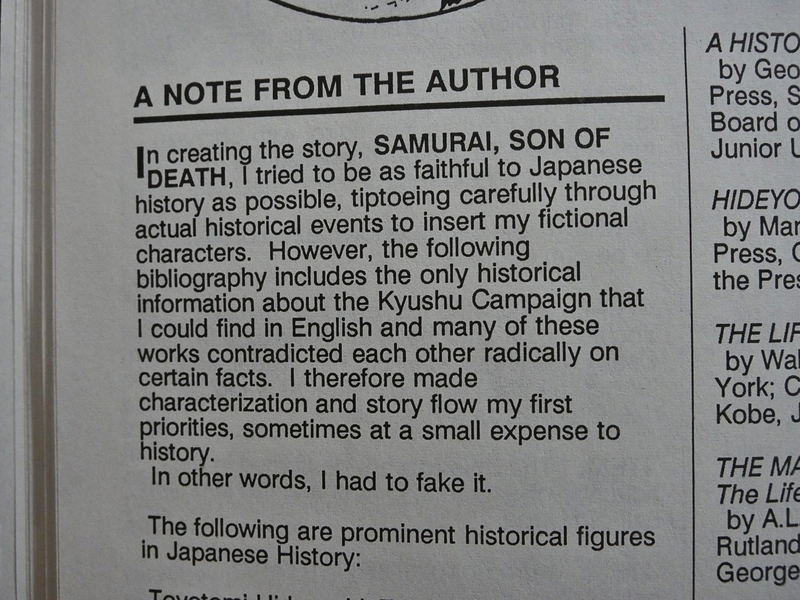 … but then it turns out that the author had faked it, because he doesn’t read Japanese. Hm… according to The Comics Journal 87, this book was announced from DC in 1984!? That explains the aspect ratio, because DC had a graphic novel program in 1984 where they published stuff in “album” format. The opening character “recap” page is so complex, it makes you feel like you’re jumping in on the 256th issue of X-Men. 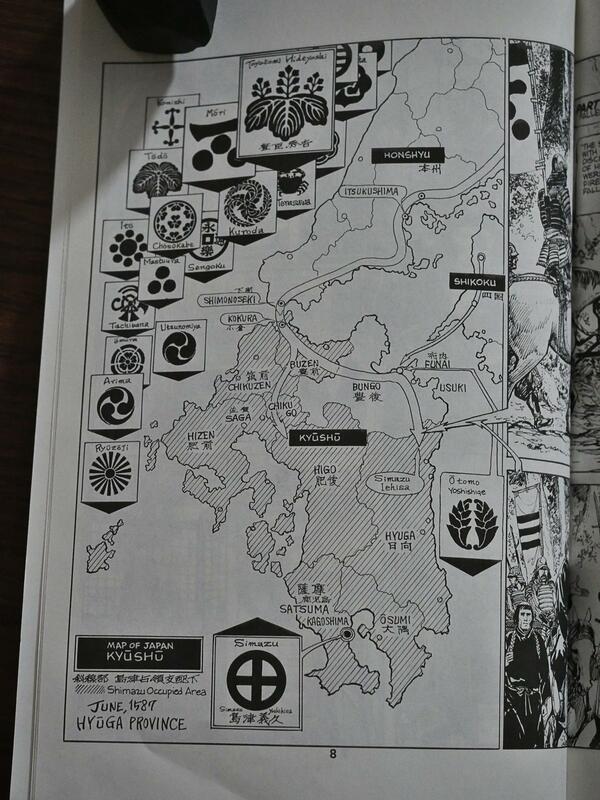 But it’s actually mostly just background historical detail. Confusing things, one of the characters listed has the wrong portrait associated with his description. 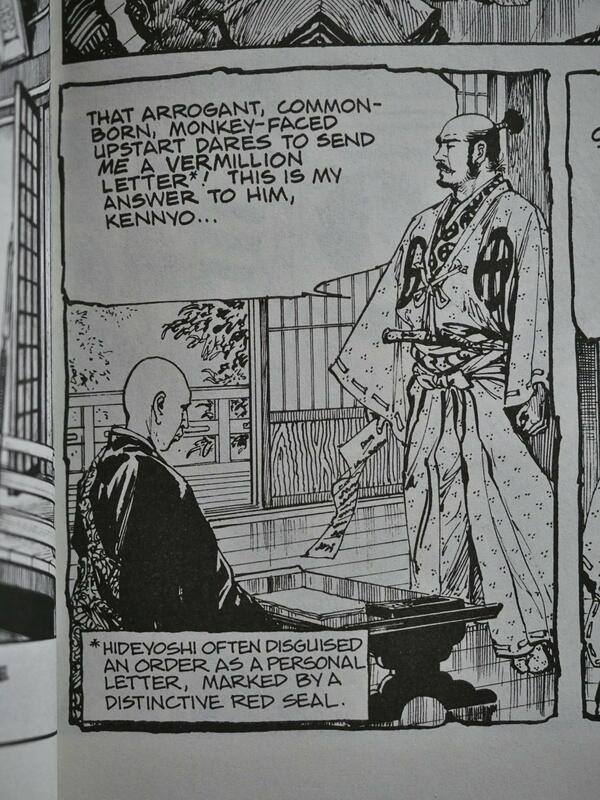 And the description of Harada Sadayasu who “undergoes a bizarre supernatural metamorphosis” is confusing, because it makes it seem like it happened beforehand, but we see it happen in the pages of the book. The structure of this tale is a little odd and I suspect it was originally intended to be a longer work, but it’s an engrossing and exotic yarn for all that. No it’s not. But they make a good point: It’s so odd structurally that something must have happened during the making of it. I wonder what the story really was: Abandoned halfway through, so DC dropped it, and then Eclipse picked it up for nothing and shoved it through the door?